Description: Pakistan and Afghanistan. Rare black and white woodcut after Ptolemy. Description: Sindh, Pakistan with part of Northwestern India. A detailed map with bright original colour. 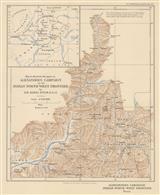 Description: Indus and Punjab Rivers from the sea to Lahore by Lieut. Burnes, explorer, soldier, spy, diplomat who was nicknamed Bokhara Burnes due to his activities in that region. 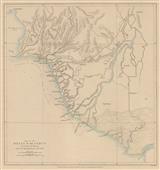 Description: Sketch of the Indus River Delta in modern-day Pakistan by Lieut. T.G. Carless. 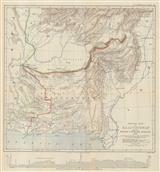 Description: Coastal map of the route from Gwadar to Karachi (Pakistan) by Major Goldsmid, a British Army officer and East India Company agent who was responsible for laying the overground telegraph lines from Europe to India. Original colour. 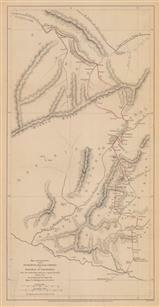 Description: Very interesting and detailed map of the Northwest Frontier compiled by Walker. Description: Indus Delta. Detailed map with original colour illustrating the paper by Col. C.W. Tremenheere. Description: Trans-Indus Countries. Includes Gilgit, Dilail and Yassin. Shows Geo. Hayward's route. Original colour. Description: Peshawur to Faizabad. Detailed map with original colour illustrating the paper by Major T. Montgomerie. Description: Northern Pakistan, northwest India, and Afghanistan. Centered on the Punjab, including Kabul, Lahore, Quetta, Peshawar and Multan. Printed colour. Description: City plan of Karachi, showing cantonments, railway lines and the Napier Mole Bridge, now the Jinnah Bridge, connecting the harbour to the city. Printed colour. 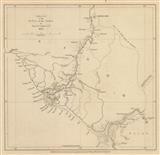 Description: Sketch map of Baluchistan, part of modern-day Pakistan. Includes Karachi, Hyderabad, and the course of the Indus River as far as Dera Ismail Khan. Kandahar in Afghanistan is also included. Printed colour. Description: Pakistan, Murree. Marked with cantonments. Original printed colour. Description: Detailed map with original colour illustrating the paper by Sir Aurel Stein of Alexander's campaign in Northern Pakistan. Printed colour.